WASHINGTON – U.S. Senator Kirsten Gillibrand says the federal government should reimburse veterans who paid out-of-pocket for civilian care in medical emergencies when they were unable to receive immediate care from the Veterans Affairs hospitals. On Monday, the state’s junior senator sent a letter to Acting Secretary of Veterans Affairs Sloan Gibson, asking that clear guidance be given to VA officials After the U.S. Department of Veterans Affairs (VA) denied reimbursement for at least six New York veterans who needed urgent, timely care for their medical emergencies at civilian hospitals. 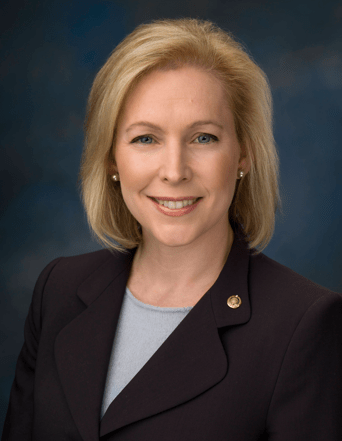 Senator Gillibrand – who is a member of the Senate Armed Services Committee -expressed concern over the VA’s decision to reject cases of veterans who sought care at the nearest civilian hospital in times of emergency and called on VA administrators to implement the law in favor of the veterans who seek timely, adequate care, rather than penalize veterans for doing so. Gillibrand says at least half a dozen New York veterans reached out to her office after the VA rejected their claims for reimbursement for emergency care, including lost vision, back spasms, and surgery to repair broken bones. Veterans rushed to their closest civilian hospitals in these urgent instances and had to pay out-of-pocket for these medical costs.